Occasion: Party Wear, Wedding Wear, Festive Wear. Sunil Kumar Sushil Kumar & Co. 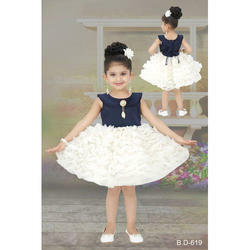 Backed ourselves with modern tools and techniques, we are offering an excellent quality array of Girls Partywear Frocks. This offered range is designed and fabricated by our adroit professionals with the support of ultra modern expertise.